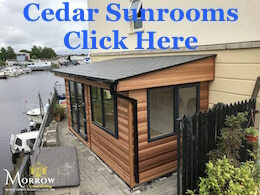 Our range of Garden Sheds are of the highest quality available on the market with all exterior timbers treated with a professional preservative. They all come in easy-to-assemble sections and are available in a choice of sizes to complement any garden. We have a flexible approach to our customer’s requirements and can position doors and windows to meet individual specifications. SIDE WALL CLADDING: 119mm X1 9mm TONGUE & GROOVE. SIDE WALL FRAMING: 44mm X 44 mm UP TO 10X8. SIDE WALL FRAMING: 69mm X 32 mm . From 12×8 upwards. FLOOR MATERIALS: 119mm X 19mm TONGUE & GROOVE. FLOOR JOISTS: 69mm x 32mm pressure treated. ROOF MATERIAL: 119mm x 12 mm TONGUE & GROOVE. WINDOW STYLE: FIXED FRAME/ OPENING WINDOW OPTIONAL EXTRA. ROOF COVERING: HEAVY DUTY TORCH ON FELT. Framing size – 44mm x 44mm. Flooring material – Solid Sheet OSB3-waterproof glue. Roofing material – Solid Sheet OSB3-waterproof glue. Roof Covering – Green Torch on felt. Locking System – Padlock Bolt.